BROOKVILLE practices a continuous improvement philosophy throughout the entire organization. Each employee is encouraged to present ideas for improving products, processes, systems, productivity, and results to the quality department team for feasibility and review. Each submission is reviewed to assure it demonstrates stability and adds process performance. Performance data is logged and recorded in multiple areas simultaneously, and continuous improvements are incorporated regularly and audited annually. BROOKVILLE is conscious about the environment we live and work in every day. We're dedicated to creating a workplace in which the rights, needs, and unique contributions of every employee are consistently respected. Running our company in an environmentally friendly way is good for the environment and good for our business. We're working to conserve energy and reduce waste in our manufacturing processes, and we are continually implementing more efficient technologies in our products. Brookville Equipment Corporation has a mission to create and maintain a working environment that is safe for our employees, the communities in which we work, and the earth on which we live. We strive to promote environmental stewardship throughout our business - from the expectations we set with our manufacturing staff to our external vendors. Our environmental focus also includes monitoring our daily business decisions affecting purchasing, marketing, and facility management. To prioritize our efforts, we recently set out to identify the level of control and influence we have over our environmental impacts throughout the lifecycle of our products - from raw materials we use to the disposal of the waste we generate each day. We are implementing changes in our manufacturing processes and our support personnel's consumable office materials to institute new recycling programs. In the meantime, BROOKVILLE recycles all waste oils and fuels, batteries, as well as recycling cardboard shipping containers. For nearly nine decades, Brookville Equipment has actively supported the communities around where we live and work. 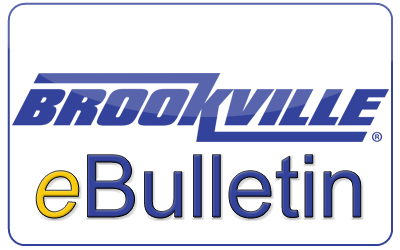 BROOKVILLE supports philanthropic commitments with in-kind donations, community outreach, and supporting employees’ volunteer programs. Under the direction of Senior Management, Brookville Equipment Corporation has continually increased the company's community involvement across diverse areas of giving. Today, BROOKVILLE focuses much of its charitable giving on supporting children and youth, enabling them to lead healthy and gratifying lives. Additional areas of giving include donations to civic organizations serving the basic needs of our communities, and charity sports events which reach out to entire communities. In recent years, Brookville Equipment’s involvement in the community has provided financial support to organizations by donating over $335,000 to charities. As an employer and a company, we believe that the time and commitment of our employees is just as important as our financial giving. For that reason, we make every effort to accommodate the needs of our employees who volunteer in their communities.